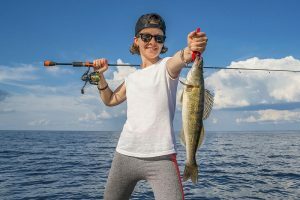 Saginaw Bay walleye anglers have switched from body baits to crawler harnesses and were fishing near the mouth of the Saginaw River when trolling in eight to 10 feet off Bay City State Park, 10 feet off the Kawkawlin River and five feet off the trailer park. Further out, fish were caught in 17 feet northeast of Spoils Island. Decent catches were taken in 15 feet along the Slot and the Callahan Reef northwest of Quanicassee. All fish were caught on a crawler harness when trolling very slow. Not many walleye were caught on the east side past Fish Point. Bass anglers did well in Wildfowl Bay. Saginaw River bass anglers did well on catch-and-release bass fishing in the lower river. 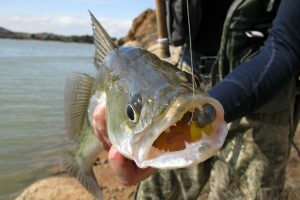 A few walleye were taken in the lower river between the Coast Guard Station and the mouth. Those shore fishing upstream caught catfish and freshwater drum on crawlers near Smith Park. Those bowfishing have taken carp. Tittabawassee River a few walleye were caught near the confluence of the Tittabawassee and the Shiawassee rivers near Green Point when trolling a crawler harness and a fire-tiger spinner. 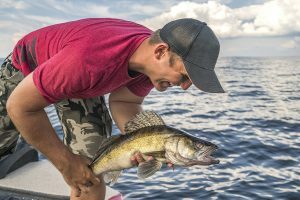 While the majority of walleye have moved back out into the bay, a few were spotted in the deeper holes. The white bass run is just about over. Water levels dropped to the point that larger boats were having trouble getting around in the shallower reaches but boats with a shallow draft should be alright. Catch-and-release bass fishing was good up near the Dow Dam. Au Gres Area boat anglers did best trolling south past Point Au Gres in 20 to 30 feet. Those heading as far south as the Saganing and Pinconning bars found walleye in eight to 12 feet. Au Gres River shore anglers in the lower river caught bass and pike on body baits or catfish and bullhead on crawlers. Oscoda Area very few anglers were able to get out due to high winds; however those who did were able to catch a couple walleye at the mouth of the Au Sable River. Pier anglers caught a few walleye and channel catfish when still fishing night crawlers or drifting them under a slip bobber. Au Sable River anglers fishing night crawlers on the bottom or drifting them under a slip bobber were catching walleye, channel catfish and white suckers. Steelhead continued to be caught at the Foote Dam when using beads, spawn and flies. A few small rainbows were also caught below the dam when casting spinners. 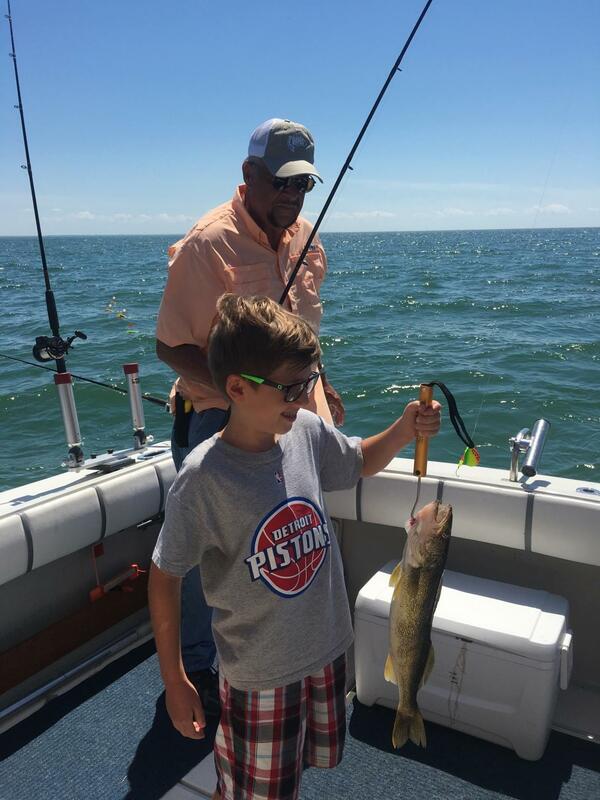 Tawas Area boat anglers caught walleye past Tawas Point and down near Alabaster in 30 feet. Pier fishing was slow. Tawas River shore anglers in the lower river caught walleye, bass, pike, catfish and freshwater drum. 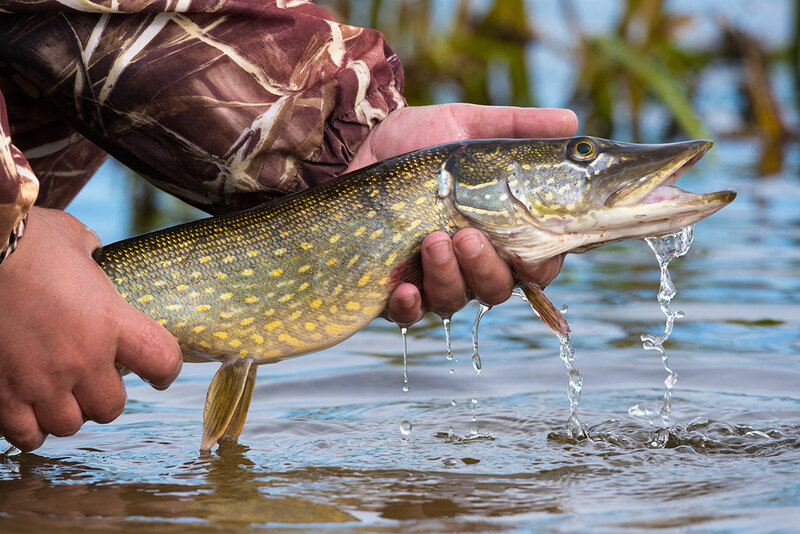 Known as “the fish of 10,000 casts,” muskellunge are a game fish native to the lakes and streams of Michigan. They are a prized catch to many anglers, but present many challenges when trying to do target them. But if you do your research and are patient – you too could possibly land a big one! 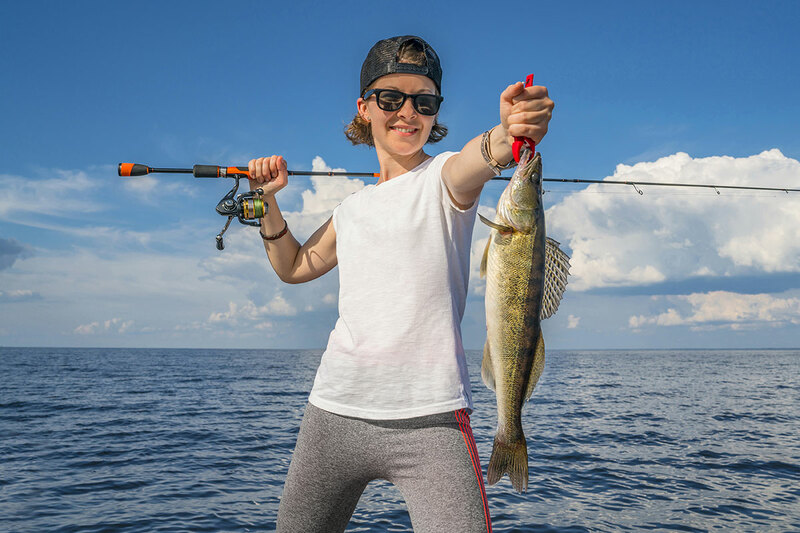 Muskie anglers can choose from a variety of methods such as trolling, casting or still fishing with live bait. Muskellunge tackle must withstand the larger, bulkier lures required, as well as the fact these fish can exceed 30 pounds. Anglers should use much heavier line and stronger rods. It should be noted that muskie fishing success usually requires more dedication and persistence than for other species. Want to learn more about this valued game fish? Check out their section of the Michigan Fish and How to Catch Them website.